With removeable beaters for easy cleaning, Oxo Good Grips has reinvented the egg beater. 30cm. New to the Zyliss range of mixing and measuring tools is a unique and innovative semi-automatic whisk that takes the effort and time out of a difficult task. 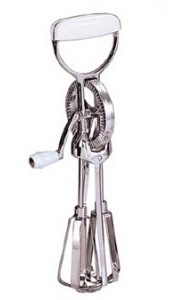 A classic egg beater - just like mum's one! 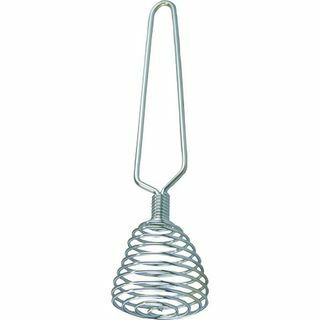 Whether you’re scrambling eggs or making pancakes, everyone needs a quality whisk and the Spring Whisk is perfect for any kitchen. 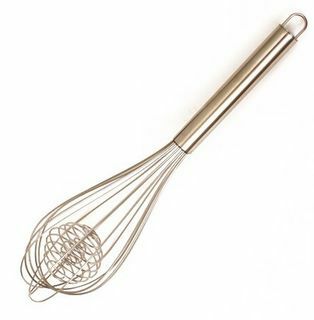 The Oxo Good Grips balloon whisk is silicon covered and perfect for use on any surface, including non-stick! 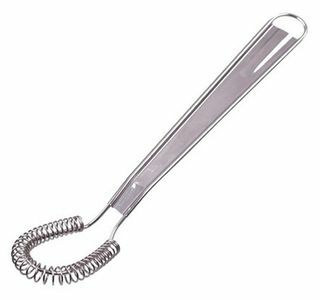 The Westmark whip is an all-purpose whisk for stirring, mixing and blending of eggs, puddings, sauces and gravies. 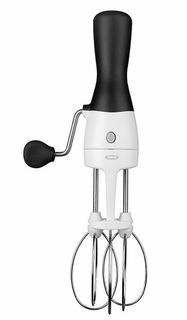 The double whisking action of the stainless steel rapid whisk will allow you to effectively whisk and aerate anything from egg whites to heavy cream.